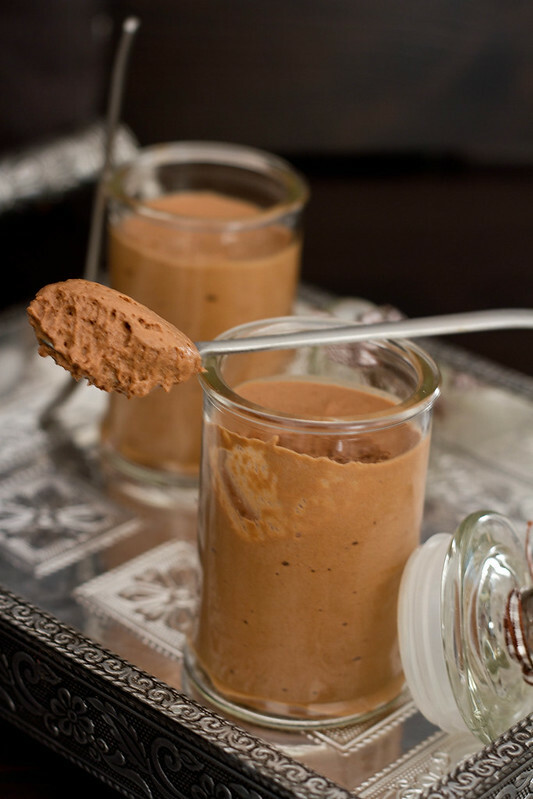 Continuing to be in the mood, I would like to share a heavely dessert – Chocolate Mousse! Melt chocolate over a double boiler and keep aside. In a small saucepan heat milk and sugar till they come to a boil. Using a stand beater or hand beater, beat egg yolks till pale. While beating the yolks, slowly add hot milk in a very slow stream. This is a very important step. So remember to add the milk very slowly or else you will end up with scrambled eggs. Add in vanilla extract and whisk for an other minute. Now add in melted chocolate and continue to whisk till well combined. In a seperate clean bowl beat egg whites till soft peaks, add in salt and beat till stiff peaks form. Add egg whites in three small batches to the yolk and chocolate mixture. Do not over mix it. Now whisk cream till stiff peaks form and add again in batches to the chocolate mixture. Fold in gently. Do not over mix. Pour the mixture into 8 medium sized cups, cover with cling wrap and refrigerate for minimum 4 hrs or overnight. You can even top it with fresh berries or fruit or whipped cream. 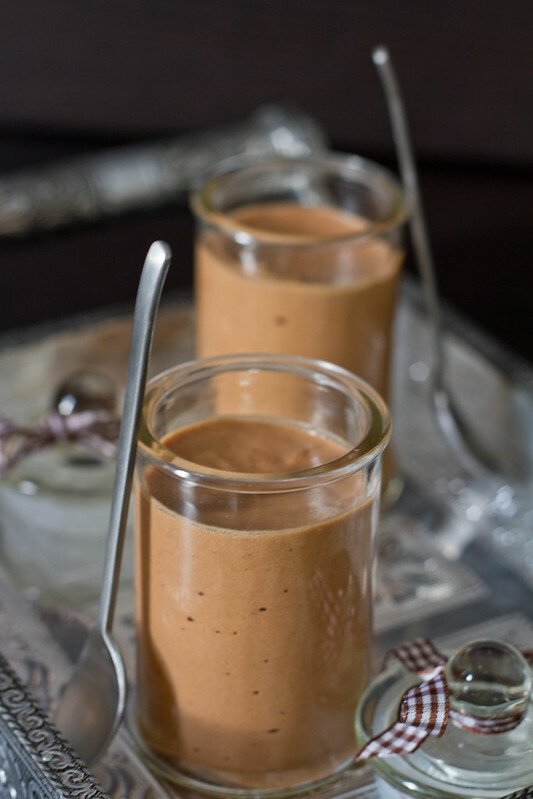 I love choco mousse and this looks so creamy, light and yumm. Spandana, your pictures are always so pretty. I am not able to go beyond them to even look at other things, Great job, doing so well with a kiddo around. Beautiful texture, and lovely color..the Mousse’ must have tasted yum! Yes, Sangeetha it was a hit with my guests, and everyone ended up with seconds. Wow the mousse looks really dense and perfect! 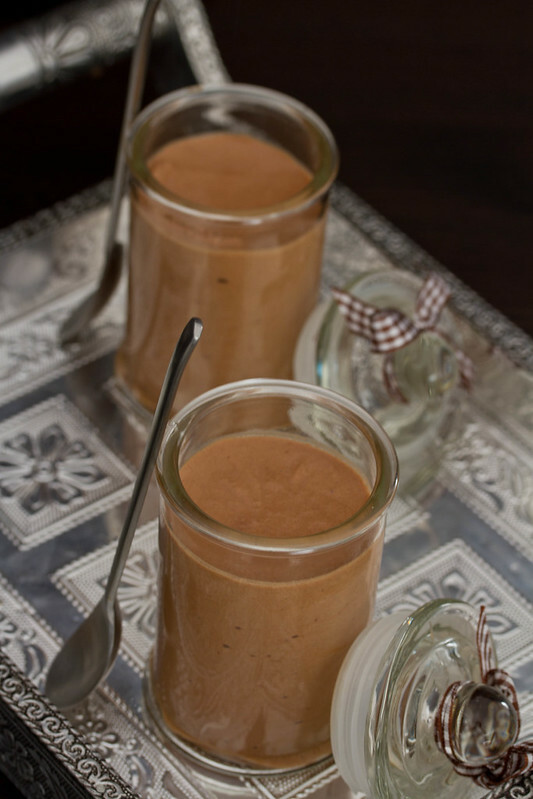 I am a big fan of choco mousse and you have done a splendid job. Great photography!